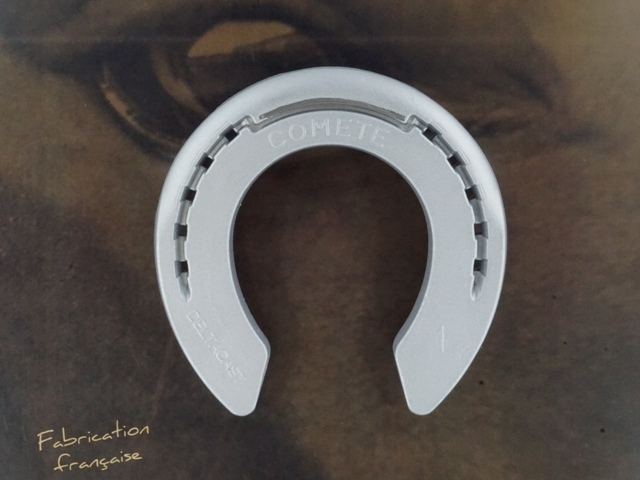 The COMETE Wide Cover is designed to distribute loads over a large area of the sole . It ensures optimal protection of sensitive soles. The toggle of the foot is made by a wide toe rolling. The average coverage is 34mm. The three clips are raised. The hard steel insert embedded in the toe combined with a hight strenght aluminum alloy type AU4G ensure a very high wear resistance.